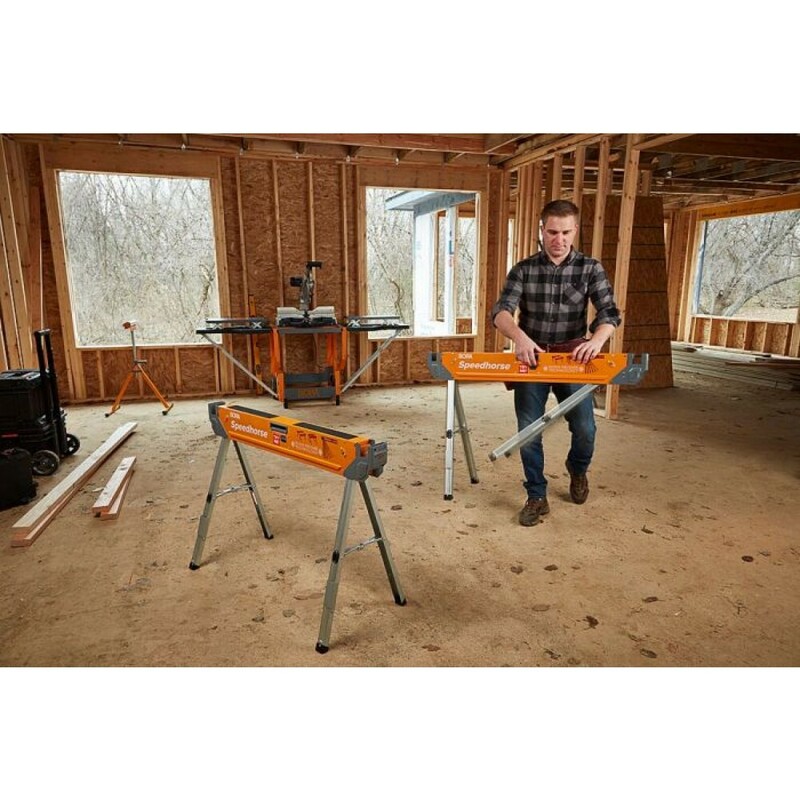 The ultimate upgrade for your job site, workspace, or workshop. 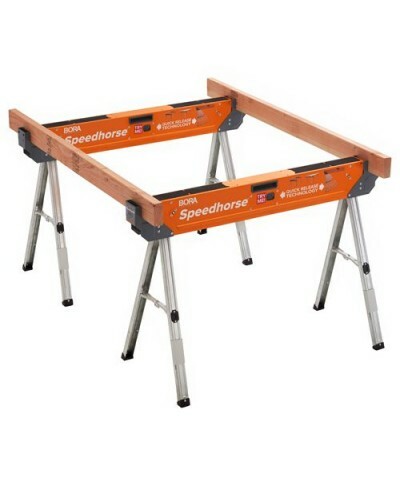 Quick-deploy and quick-collapse legs — Instant setup is 30x faster than conventional sawhorses. 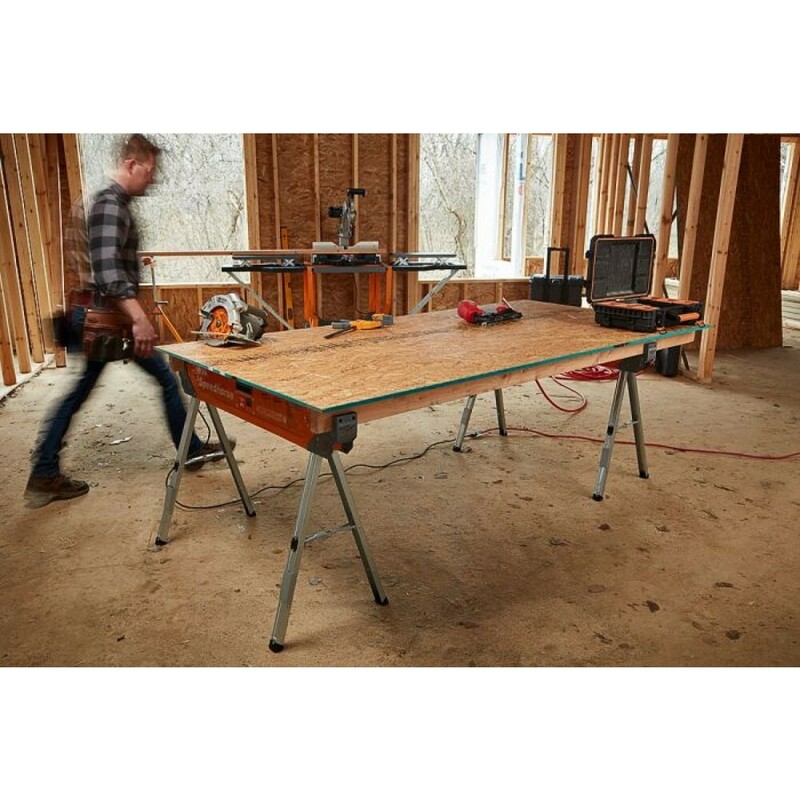 Both setup and teardown take mere seconds. 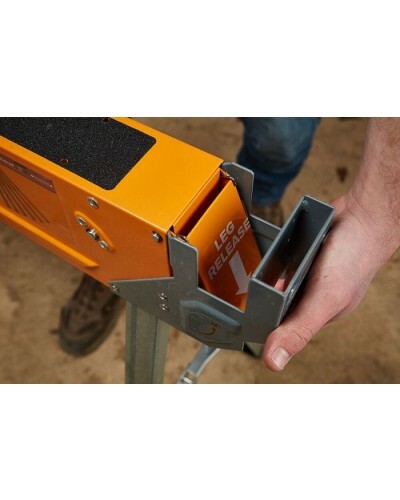 Best-in-class weight capacity — Each individual unit can support 1500 lbs. — 200 lbs. 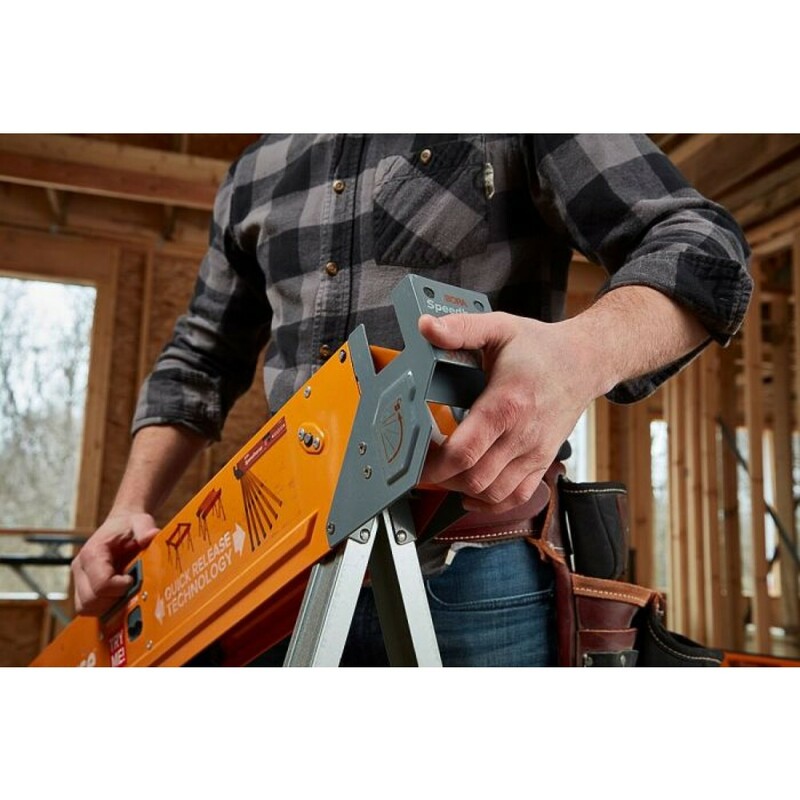 more than the leading competitors. 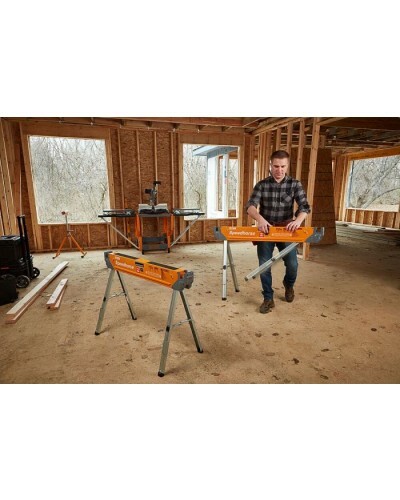 Non-sequential leg folding — To tear down your worksite, just pull the levers on each end and fold the legs up — doesn't matter which order. 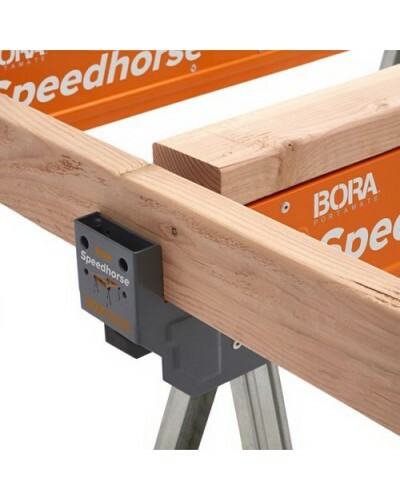 Longer, pre-drilled top — More length means more stability. 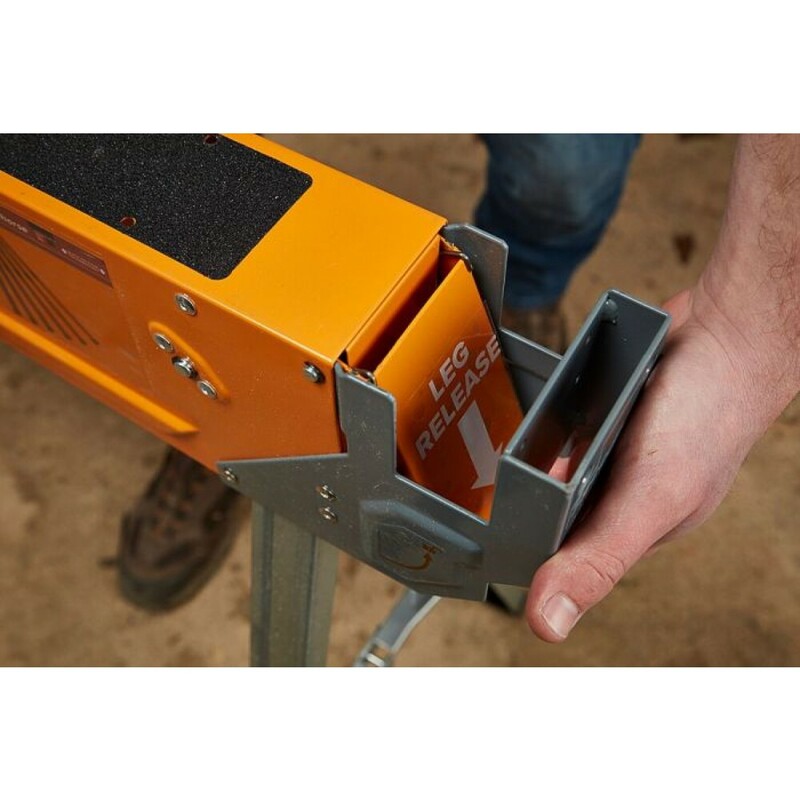 The pre-drilled metal top allows you to screw in a 2x4 as a sacrificial top, saving your equipment from damage.When you need to visit multiple worksites in a day, you need equipment that's fast and easy to set up, take down, and transfer from one location to another. 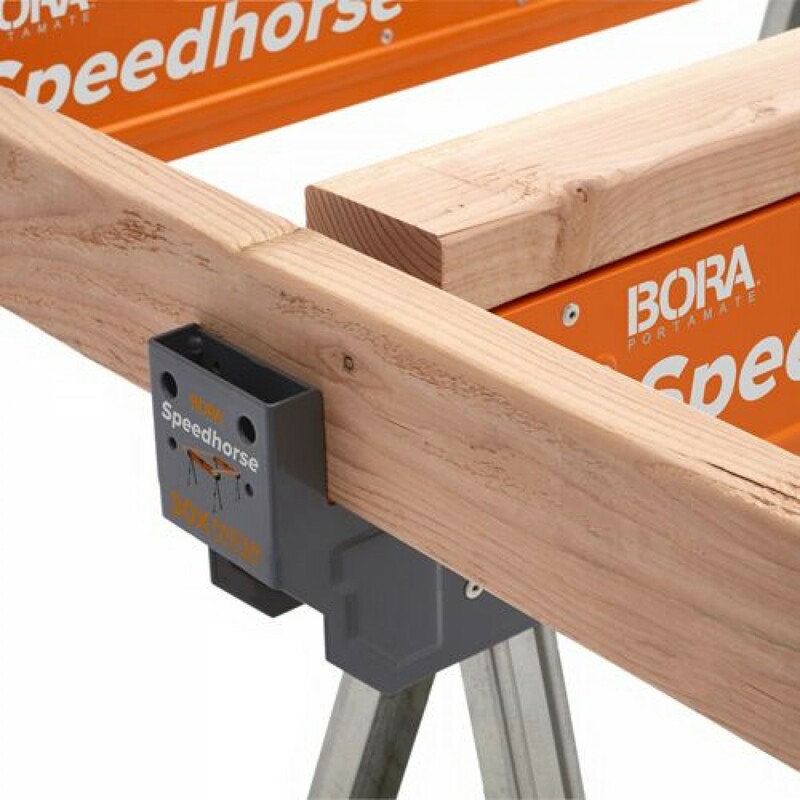 The Bora Portamate PM-4500 Speedhorse™ is the ultimate upgrade for your job site, workspace, or workshop. 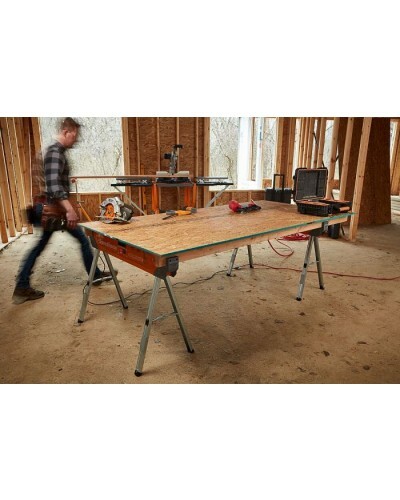 Shave precious time off site setup and teardown so you can get to work faster and complete jobs more efficiently. 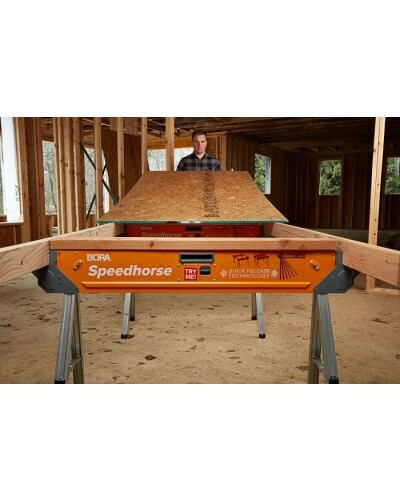 The Speedhorse™ deploys 30x faster than conventional sawhorses — just pull the release button in the middle of the frame. 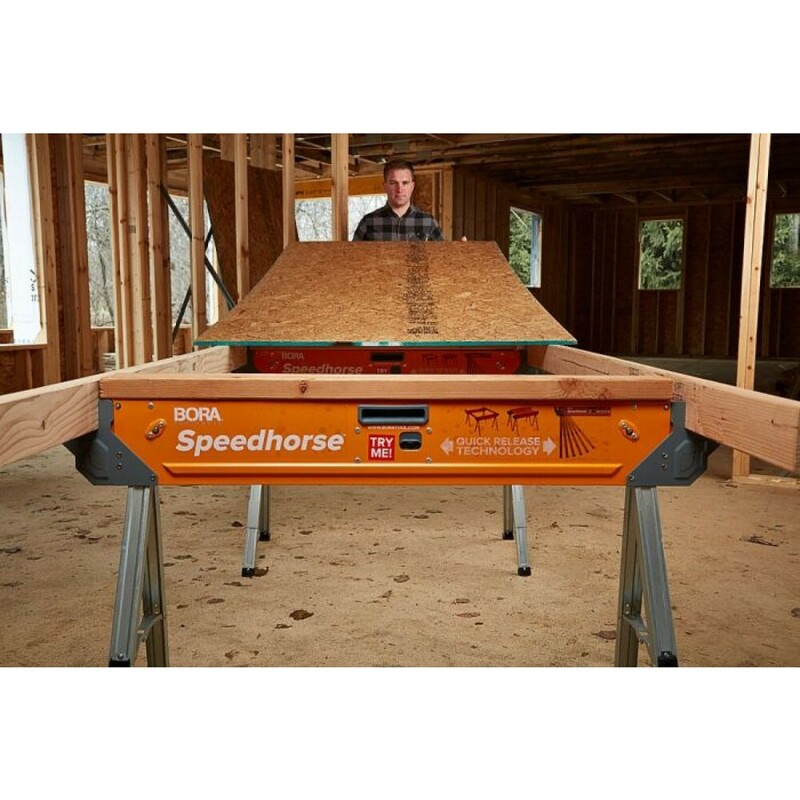 Designed for flexibility in a wide variety of environments, this sawhorse is built tough to withstand heavy projects ranging from construction and carpentry to furniture builds. 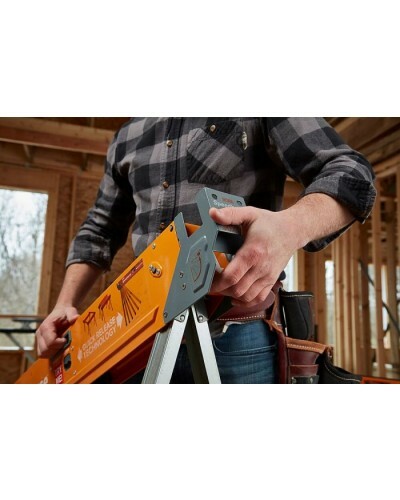 And when the job is finished, simply pull the levers and fold the legs up — doesn't matter which order. 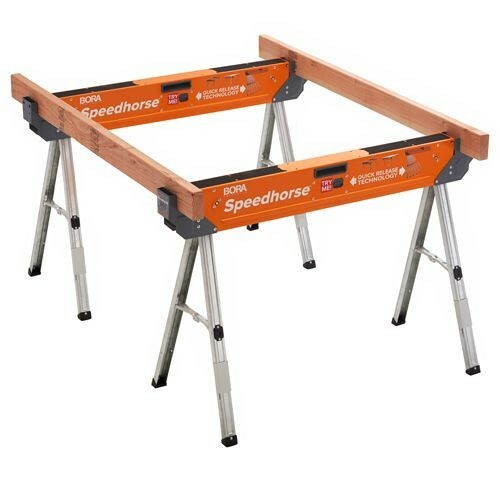 This contractor-grade sawhorse will revolutionize your worksite to help you work more quickly and efficiently while continuing to produce professional results. 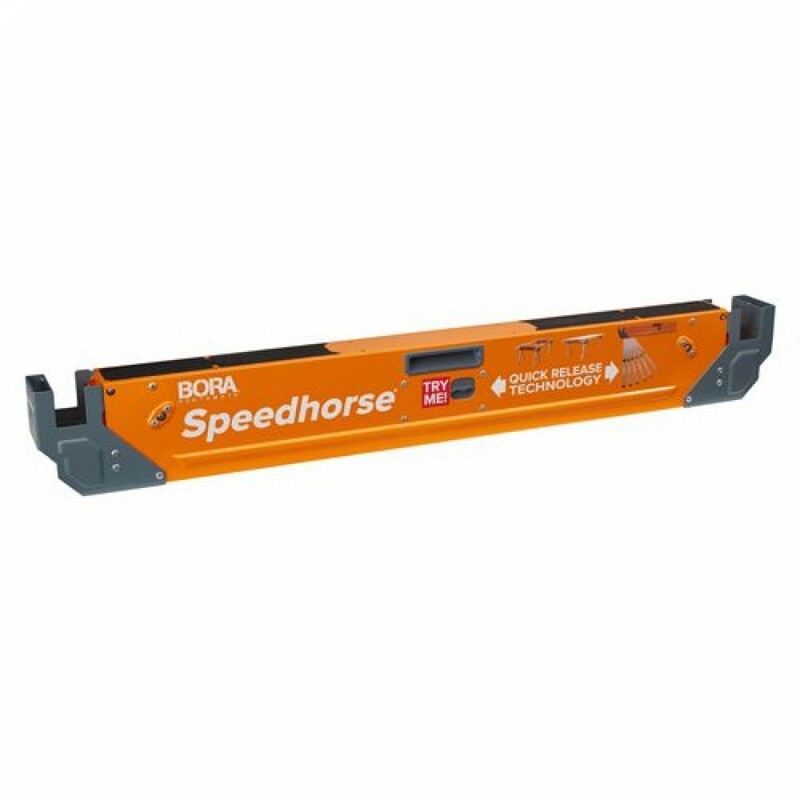 Is your horse built for speed?